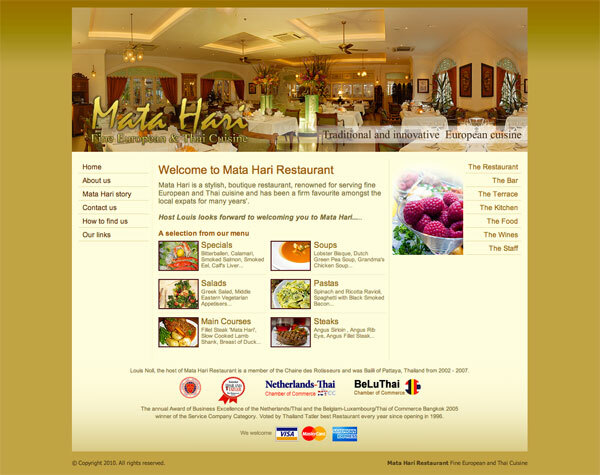 Mata Hari Restaurant opened in 1996 and rapidly established itself as one of Pattaya’s premier restaurants. Since then, under the watchful eye of Louis, the effervescent proprietor it has built a reputation second to none for its consistent quality and value for money. Yes this really is the Number one restaurant In Pattaya and Luis is the most amusing Host and owner. You are Joking I hope, Its No Comparison, Have you been to Alois lately, Please.! I was there about a month or so ago.